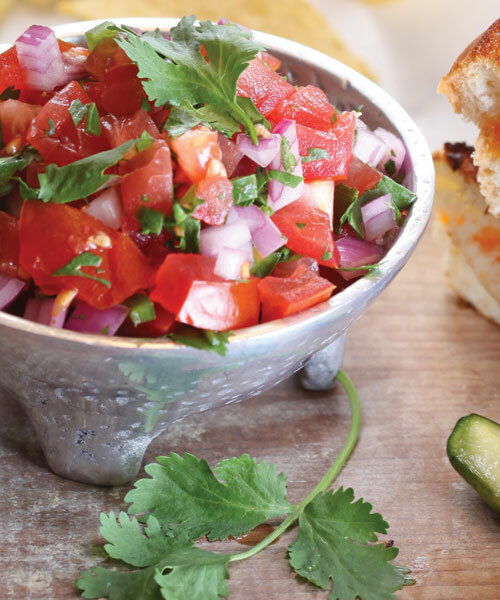 There’s nothing like a batch of fresh salsa made with perfectly ripe tomatoes; it comes together in five minutes – all you need to do is chop and stir. Adjust the quantities of each ingredient to suit your taste, and for something a little different, stir in half a diced avocado or some leftover cooked corn, scraped off the cob. Combine all the ingredients in a bowl, seasoning with salt and pepper to taste. Serve immediately or cover and refrigerate for up to a week. Makes about one 500-ml jar. 17 calories, 0 g fat, 0 mg cholesterol, 3.9 g carbohydrate, 0.8 g protein, 1.2 g fibre.